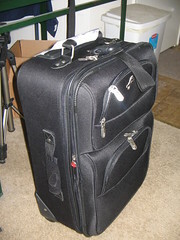 My squeaky wheeling about Airtran and Lost Bags received some “grease”: email apologies from DCA Ops Manager Robert Sullivan, Carla Hodge of Airtran’s Central Baggage Service, and Airtran’s DCA Station Manager Chanel Johnson. Miss Johnson was very responsive, promised action on the hitches in the process, and offered to repair or replace the bag within the bounds of Airtran’s lost baggage claim policy. I dropped off the old bag with its shattered plastic lining at the Airtran desk on Thursday, and by Friday afternoon, a shiny new replacement suitcase had arrived via Fedex. 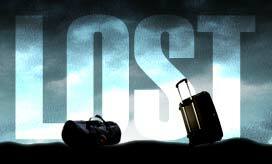 Update: 50 Ways to Lose Your Luggage, via Chops. Next post: Patriotic Songs in Church?